I have to be honest and say that I have been inspired to write this post because of my friend Nostalgia Pie‘s blog post Old-Skool Ice-Cream Flavours! 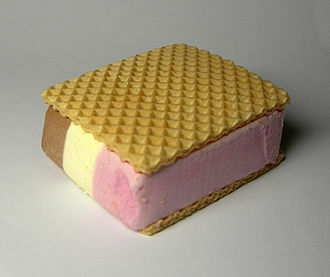 I was writing in the comments that when we kids we used to eat neopolitan ice cream slices (from an ice cream block) between two ice cream wafers, which was known in our house as an “ice cream sandwich”. This got me to thinking about other desserts that we had growing up, and here we are! The way my mum made it was to layer the bottom of a bowl with canned apples (I think they were puréed). She would then make up some Dream Topping for the middle layer. The top layer was cornflakes mixed with golden syrup. I remember it went in the fridge for some length of time, which as a child just seemed aaaaaages! So, I have no idea what mine was called, but it was decadently delicious! 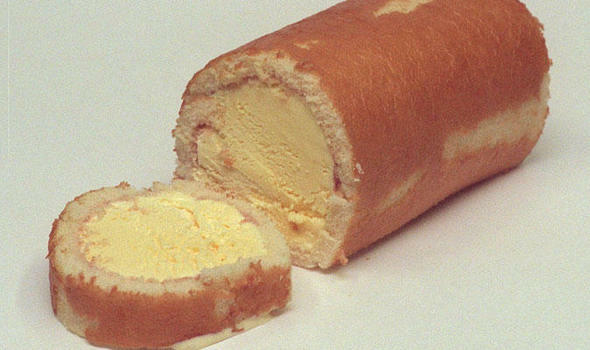 Arctic roll was a roll of ice cream (we only ever had vanilla) which was wrapped in sponge with some raspberry sauce between the sponge and the ice cream. To make it last, as it was a treat, we had the thinnest slices going, so if I had some now, I think I’d probably try and eat at least quarter of it in one go! I really want pudding now! Retro flashback sticker time for Throwback Thursday! I used to have paper-rounds when I was a teenager and I remember that I didn’t actually get paid any money by the newsagents because I had so many magazines reserved for me each week that I was literally working just to pay off my magazine bills! I just left a comment on someone’s blog post about the ages of a couple of actors in Clueless where they were supposed to be playing youngsters and it inspired me to write this blog post. A lot of times actors are nowhere near the age they’re supposed to be playing, so how old were they really? (All ages are taken from Wikipedia). I was really surprised by so many of these! !